Rect The value entered by the user. Makes an X, Y, W, and H field for entering a Rect. 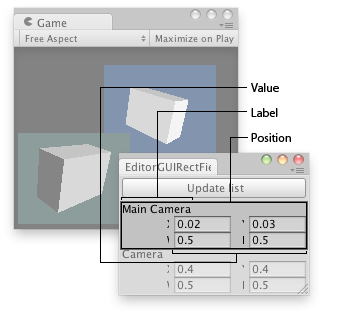 Rect field in an Editor Window. Makes an X, Y, W, and H for Rect using SerializedProperty (not public).